The number of campaigns by activist shareholders in Switzerland is still relatively low compared with other jurisdictions, in particular the United States. In the past years, however, the Swiss market has seen a growth of shareholder activism, including high-profile campaigns against large multinational companies. Furthermore, since the general assembly season 2017 there is an increasing willingness of shareholders to express their dissatisfaction with the board of directors (the board) or the management by rejecting board proposals regarding directors or executive management compensation in 'say-on-pay' votes. We expect this change of mindset and the consequential potential increased support base for activist shareholders to further foster shareholder activism in Switzerland. a The company has underperformed its peers, in particular based on its shareholder return. b The company has a low market value relative to its book value, but is profitable. c The company's cash reserves are relatively high historically and relative to its peers, but the company is not prepared to make material adjustments to its distribution policy or has not committed to a significant share buy-back. d Underperformance of a particular business segment. e Corporate governance issues, in particular if the company does not meet 'best practices' recommended by proxy advisory firms. The most important tools available to an activist shareholder in Switzerland are included in the Swiss Code of Obligations (CO). The corporate law contained in the CO governs shareholders' rights, the duties of the board and the division of power between the board and the shareholders' meeting. The Swiss Ordinance against Excessive Compensation (the Ordinance), which entered into effect on 1 January 2014, introduced additional shareholders' rights that may be used by activist shareholders of listed companies. The most prominent elements of the Ordinance are the binding 'say-on-pay' votes on directors and executive management compensation. Further, the Ordinance limits the term of office of board members of listed companies to one year, thus abolishing the staggered board structure many companies used as a defence mechanism. The Ordinance gives shareholders the right to elect the members of the board's compensation committee directly and obliges certain pension funds to exercise their voting rights with respect to certain agenda items, in particular the election of the members of the board, the chairman of the board and the compensation of the directors and the executive management. The Ordinance further provides that any institutional representation of shareholders can be done only through an independent proxy elected annually at the shareholders' meeting, and no longer through a company representative. An activist shareholder building its stake will have to comply with the disclosure rules included in the Swiss Financial Market Infrastructure Act (FMIA) and the Financial Market Infrastructure Ordinance of FINMA (FMIO-FINMA), which apply to companies incorporated in Switzerland with a primary or secondary listing on a Swiss stock exchange (or foreign companies with a primary listing on a Swiss stock exchange). Pursuant to these rules, persons who directly, indirectly or in concert with other parties acquire or dispose of shares of a company listed on a Swiss stock exchange, or purchase or sell rights or obligations relating to such shares (including call options, put options, derivative instruments and cash-settled financial instruments), and, thereby, directly, indirectly or in concert with other parties reach, exceed or fall below a certain threshold relative to the company's voting rights (whether exercisable or not) must notify the issuer and the stock exchange of such acquisition or disposal. Unlike in most other jurisdictions, the initial threshold that triggers a disclosure obligation is not set at 5 per cent, but at 3 per cent (calculated by reference to the relevant company's share capital registered in the commercial register). The additional disclosure thresholds are set at 5, 10, 15, 20, 25, 33.3, 50 and 66.6 per cent. If an activist shareholder, directly, indirectly or acting in concert with third parties, acquires equity securities that, when added to the equity securities already owned, exceed the threshold of 33.3 per cent of the voting rights of a target company, whether exercisable or not, the activist shareholder must submit a mandatory public tender offer to all shareholders of the company to acquire all listed equity securities of such target company. Target companies may raise this threshold to 49 per cent of the voting rights in their articles of association or exclude the obligation of submitting a mandatory offer entirely. Only few Swiss companies have done so. The obligation of companies listed on the SIX Swiss Exchange (SIX) – Switzerland's pre-eminent stock exchange – to disclose price-sensitive, non-public facts as set out in the SIX Listing Rules and the SIX's Directive on Ad hoc Publicity (DAH) may have an impact on the extent to which the discussions between the company and the activist shareholders or the campaign of an activist shareholder can be held confidential. 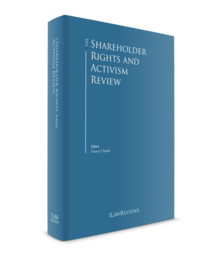 The following section provides an overview of the variety of tools available to an activist shareholder in Switzerland. Typically, the first tool that activist shareholders utilise are discussions with the management and the board in an effort to seek consensus with respect to specific changes that activist shareholders believe the company should adopt. Swiss companies targeted by activist shareholders have traditionally engaged in this form of communication with activists. Subject to limited exceptions (e.g., equal treatment of shareholders and non-disclosure of insider information), Swiss law generally permits this kind of interaction between the management or the board and shareholders. Shareholders do not have any possibility, however, to force management or the board to engage in discussions if they refuse to do so. Following or in parallel with the discussions with the board or the management, activist shareholders usually launch public campaigns, through print and online media specifically dedicated to such shareholders' campaigns, in particular the 'vote no' campaigns where an investor (or coalition of investors) urges shareholders to withhold their votes from one or more of the board nominees, reject board proposals regarding directors and executive management compensation, or engage in an actual proxy contest, for example by nominating own board candidates or proposing corporate governance changes (e.g., changes to capped voting rights provisions, the rules regarding board composition or the size of the board, or a change to the proposed distribution to shareholders). As shareholders of a Swiss company have no right to request direct access to the company's shareholder register, direct contact by the activist shareholder with other shareholders is limited to those shareholders whose interest in the issuer is publicly known, for example, owing to public filings such as those disclosed on the SIX 'significant shareholder' platform, or through searches of other publicly available sources (Bloomberg, FactSet). Hence, contact with most of the shareholders must occur through media campaigns, special website or proxy advisers. Even if the other shareholders are known, depending on an activist shareholder's interest in a company and its willingness to disclose its shareholdings or to submit a public tender offer, an activist shareholder is well-advised to carefully consider the form of discussions it engages in with other shareholders prior to a shareholders' meeting. Discussions among shareholders may qualify as 'acting in concert', with the consequence that disclosure obligations and mandatory offer obligations could be triggered if the thresholds for the disclosure obligations or mandatory offers are reached or crossed. Every shareholder registered in the share register at the relevant record date has the right to participate in and exercise its voting right at the company's general meeting. In addition, each shareholder, including shareholders having requested the inclusion of an item on the agenda, is entitled to explain its position regarding a certain agenda item or submit proposals with respect to duly notified agenda items (Article 700, Paragraph 4 CO). The board may restrict the length of speeches, but must treat all shareholders equally. Although this right to speak gives activist shareholders a platform to communicate with other shareholders and promote their campaign, its benefit is limited because of the fact that the decision-making process has shifted from the general meeting to the run-up to the general meeting. The independent proxy, who is obliged to vote in accordance with the shareholder's instructions, typically represents the majority of the votes at the general meeting. Hence, any activist shareholders' speech, no matter how persuasive, is unlikely to change the outcome of the shareholders' vote at the general meeting. This holds true all the more for proposals submitted at the general meeting itself, as proxy forms typically provide, as part of the general voting instructions, that absent specific voting instructions, the independent proxy would vote on the shares for which proxy is granted in accordance with the recommendations of the board. For a shareholder to be able to request the inclusion of an item on the agenda of a general meeting or to call an extraordinary general meeting, the shareholder must hold, as an owner of record, the number of shares required pursuant to the company's articles of association. Absent specification in the articles of association, the default rule is – companies are not permitted to introduce stricter provisions – that shareholders holding shares with a par value worth in the aggregate 1 million Swiss francs or more have a right to request the board to put a specific item on the agenda of a general meeting. According to a significant view in Swiss legal writing – a persuasive authority under Swiss law – shareholders who hold 10 per cent of the company's share capital – a reference to the issued share capital, rather than outstanding shares – may also request the inclusion of an item on the agenda of a general meeting. Unless the articles of association provide for a lower threshold, shareholders who hold 10 per cent of the share capital have the right to request the board to call an extraordinary general meeting. Also here, a significant part of legal writing has adopted the view that, alternatively, shareholders holding shares with a par value worth at least 1 million Swiss francs would have the right to call an extraordinary general meeting. Upon receipt of a request to call an extraordinary general meeting, the board must comply with the request within a reasonable period of time. According to precedents, this generally means between four and eight weeks, depending on the circumstances. If the board does not comply with the request, the shareholder would have to seek a court order to enforce its request. The court would either require the board to call a meeting within a certain time or, in exceptional circumstances, call the meeting itself. If a valid and complete request for inclusion of an item on the agenda has been submitted to the board, the board is in principle obliged to include the agenda item and the proposal in the proxy card. Shareholders do, however, have no right to request the inclusion of explanatory notes in the company's proxy card.2 In practice, many companies would, however, include a short explanatory statement of the activist shareholder. Under the CO, a shareholder has the right to inspect the share register with regard to its own shares (but not with regard to the shares of other holders) and otherwise to the extent necessary to exercise its shareholder rights. No other person has a right to inspect the share register. The books and correspondence of a Swiss company may be inspected with the express authorisation of the general meeting or by resolution of the board and subject to the safeguarding of business secrets. At a general meeting, any shareholder is entitled to request information concerning the affairs of the company. Shareholders may also ask the auditor questions regarding its audit of the company. The board and the auditor must answer shareholders' questions to the extent necessary for the exercise of shareholders' rights and subject to prevailing business secrets or other material interests of the company. In addition, if the shareholders' inspection and information rights as outlined above prove to be insufficient, any shareholder may propose to the general meeting that specific facts be examined by a special commissioner in a special investigation. If the general meeting approves the proposal, the company or any shareholder may, within 30 calendar days of the general meeting, request the court at the company's registered office to appoint a special commissioner. If the general meeting rejects the request, one or more shareholders representing at least 10 per cent of the share capital or shares in an aggregate par value of at least 2 million Swiss francs may ask the court to appoint a special commissioner. The court will issue such an order if the petitioners can demonstrate that the board, any member of the board or an officer of the company infringed the law or the company's articles of association and thereby damaged the company or the shareholders. The costs of the investigation would generally be allocated to the company and only in exceptional cases to the petitioners. Although rarely used, Article 731a CO provides for the right of a shareholder to also request the general meeting to appoint an expert to examine the management or parts thereof. Unlike the special commissioner pursuant to Article 697a CO, the expert may assess and appraise facts and is not limited to fact-finding. Within two months of a general meeting, any shareholder may challenge shareholders' resolutions adopted in violation of applicable laws or the company's articles of association. Resolutions of the board, however, are not challengeable, except if such resolutions were to be considered void. An effective tool available to activist shareholders, at least temporarily, is the blockage of commercial register entries. 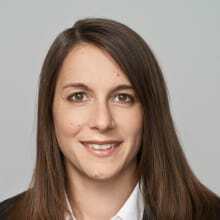 Under Swiss law, many corporate actions, such as capital increases in connection with the issuance of new shares, statutory mergers or more generally amendments to the articles of association, require registration with the commercial register to be effective. Such a blockage can be obtained through the submission of a written objection to the commercial register. The initial blockage would then need to be prosecuted through an application for provisional measures in court and subsequent court challenge of the shareholders' resolution that is underlying the commercial register entry. Even if ultimately unsuccessful, blockage actions have the potential to significantly delay the process, thus adding significant nuisance value to the tool box of an activist shareholder. Shareholders may also file liability law suits against members of the board and the management for breaches of their fiduciary duties. Directors and the persons engaged in the management of the company are liable to the company, the shareholders and, in bankruptcy, the creditors for any losses arising from any intentional or negligent breach of their duties. A rule similar to the business judgement rule applies. There are almost no reported cases of directors' and officers' liability outside insolvency matters. In addition, Switzerland is a non-litigious environment partly due to the fact that class actions are not permitted and a plaintiff has to bear court costs in a shareholder lawsuit and has to reimburse the defendant for attorney's fees if the shareholder loses the case. Liability claims against directors and executives are typically derivative in nature, and therefore the remedy would be to seek damages payable to the company. Only in extraordinary circumstances could direct damages (payable to the shareholder submitting the liability claim) be requested. Many companies have included structural defences in their articles of associations designed to make activist campaigns more difficult. The key elements available to Swiss companies are capped voting rights, and qualified presence quorums and supermajority. Where a company may limit the voting rights of shareholders to a certain percentage (usually between 2 and 5 per cent), above which the registration with voting rights in the company's share register may be refused. Through this feature, a company may also be able to limit coalitions between shareholders. As a consequence, the shareholders' voting rights are capped at the relevant percentage limit. Swiss law does not stipulate any presence quorum requirements; however, the company's articles of association may do so, for example, for matters such as increase in the board size, or the removal of board members. Once qualified presence quorum provisions have been introduced, the board does not have the authority to waive quorum requirements stipulated in the articles of association. Under the CO's default rules and subject to certain supermajority requirements, the shareholders generally pass resolutions and make elections by the affirmative vote of an absolute majority of the shares represented and voting at the general meeting. The articles of association may, however, include increased majority requirements (e.g., two-thirds of the shares entitled to vote) for matters such as dismissal of board members or the increase in the size of the board to prevent the election of additional board members. Note that there are a number of corporate actions that under Swiss law by default require a qualified majority of two-thirds of the votes and an absolute majority of the par value, each as represented at the general meeting. Among other things, share capital increases without pre-emptive rights, the introduction of authorised share capital and merger transactions fall into this category. There are relatively strict limitations to the board's ability to take defensive measures on its own, without authorisation of the general meeting, at least once a public tender offer has been submitted. However, a board may seek authorisation in the authorised share capital included in the articles of association to issue shares under withdrawal of the shareholders' preferential subscription rights. While there have been a number of companies that have included such provisions in their articles, there have not been any instances where these types of provisions have been used to issue shares to white knights. In line with the global increase of shareholder activism in recent years, Switzerland has seen a significant increase in campaigns of activist shareholders until 2016 and a stabilisation in 2017.3 Both international hedge funds, mainly from the United States, and Swiss hedge funds have acted as activists. While it is difficult to make a general statement about the long-term or short-term orientation of activists in Switzerland, most of the activist investors appear to be invested in the target companies for more than one year. Shareholder intervention historically focused on board representation, share repurchases, distributions and more generally on the company's strategy. With the introduction of the binding 'say-on-pay' votes, board and executive remuneration has also become a target of activist shareholders' campaigns. Apart from these classical topics, Switzerland has also seen activist campaigns focusing on the board reaction to public tender offers (Syngenta/Monsanto). In recent years, Switzerland has seen a significant increase in the influence of institutional proxy advisers. One of the reasons for this trend is the introduction of the obligation of certain pension funds to exercise their voting rights on specific agenda items. Given that the votes must be exercised in the interest of the insured persons and that pension funds do often not have sufficient resources to thoroughly analyse the relevant agenda items, many of the pension funds pay institutional proxy advisers for advice regarding the exercise of voting rights. The most influential proxy advisers in Switzerland are Institutional Shareholder Services Inc (ISS) and Glass Lewis & Co LLC (Glass Lewis). Owing to their increasing influence, discussions with proxy advisers have become one of the main elements of shareholder activism campaigns. With the support of institutional proxy advisers, winning a shareholders' vote will become possible even with taking a limited stake in the company only. While a general trend is not yet apparent, it is possible that this will bring funds with less assets under management into play as activist shareholders. As recent shareholder activism campaigns have shown that not all activists and target companies are able to attract the same media attention. As an alternative or as supplement to media campaigns, activist shareholders have started to use dedicated website to promote their message more broadly. Although possible, websites have not yet been used to solicit proxies directly, but rather to publish voting recommendations or disclosing voting recommendations of proxy advisers. Transocean Ltd (Transocean) is special among Swiss companies, as it qualifies as a US issuer that is subject to the US proxy rules. Accordingly, Carl Icahn and his group (Icahn) were able to use activist shareholder tools that would otherwise not be available to shareholders of a Swiss company, when Transocean came onto his radar in 2013. Also, Transocean made public filings with the SEC, thereby disclosing its interaction and communication with Icahn and its own campaign strategy. Icahn requested a significantly higher dividend payout, board declassification and the election of three director candidates. In pursuit of his requests, Icahn was able to reach an agreement with Transocean to send out a separate 'gold' proxy card to its shareholders – the alternative, giving Icahn access to the share register directly, is not permissible under Swiss law. The 'gold' proxy card only included the agenda items and proposals requested by Icahn, whereas the Transocean proxy card, in line with Swiss law requirements, included all agenda items and proposals, including the Icahn proposals. At the annual general meeting at which the Icahn proposals were subject to a shareholder vote, Icahn did not succeed with its increase in dividend request; however, Icahn did achieve the election of one board member, and in the course of the campaign run by Icahn in the run-up to the annual general meeting, Transocean's chairman of the board had resigned. Subsequent to the annual general meeting, Transocean and Icahn entered into a settlement agreement, in which Transocean's board agreed to propose and support at the next annual general meeting that the company's shareholders approve an increased dividend, two Icahn representatives be elected as directors, and the board size be decreased. Icahn in return agreed to certain standstill restrictions and committed to vote in favour of the board directors nominees and certain other board proposals. In connection with Holcim and Lafarge's merger of equals in 2014–5, a coalition of investors started challenging the merger of equals after the deal was announced. The demands came after a divergence in the performances of the two companies. Holcim's operating performance and share price had outperformed those of Lafarge's since the deal was struck. The board of Holcim ultimately renegotiated some of the deal terms, in particular the exchange ratio, thus giving Holcim shareholders a greater share of the combined entity. A shareholder activist campaign initiated last year is the campaign of the hedge fund Third Point, a company led by activist shareholder Daniel Loeb against Nestlé AG (Nestlé). On 25 June 2017, Third Point announced in a public letter to shareholders that it had invested over US$3.5 billion in Nestlé. Third Point tried to influence Nestlé's strategy by requesting, inter alia, the sale of Nestlé's 23 per cent stake in L'Oréal, the repurchase of shares and the sale of non-strategic activities. Only two days after Third Point's letter, Nestlé announced a share buy-back programme of up to 20 billion Swiss francs. Pursuant to Nestlé's press release, this was a consequence of a comprehensive review of the company's capital structure initiated already in early 2017. Although Third Point admitted in its letter published on 22 January 2018 that CEO Dr Mark Schneider had begun to take the needed steps to move Nestlé forward, in particular, the plans to add three outsiders to Nestlé's board were well received, with its letter published on 1 July 2018 Third Point continues to put pressure on Nestlé. Third Point is requesting the internal split of Nestlé into three units: beverages, nutrition and grocery, and continues to request the sale of non-core businesses. Another activist shareholder campaign initiated last year is the campaign of activist Keith Meister, controlling the general partner of Corvex Master Fund LP and Corvex Select Equity Master Fund LP (Corvex) and David Winter and David Millstone, both controlling persons of the investment manager of 40 North Latitude Master Fund Ltd (40 North) against Clariant AG (Clariant). In July 2017 Corvex and 40 North increased their stake through White Tale Holdings LP (White Tale) to at least 10.06 per cent of the voting rights of Clariant, corresponding to an investment of around 800 million Swiss francs. Corvex and 40 North pressured Clariant to seek alternatives to the Huntsman Corporation (Huntsman) deal announced on 22 May 2017. The activists argued that the planned merger of equals aiming to create a global speciality chemicals company with a combined enterprise value of approximately US$20 billion lacked strategic rationale and undervalued the shares of Clariant. As a consequence of the continued accumulation of Clariant shares by White Tale, and the resulting uncertainty as to whether Clariant would be able to secure the two-thirds majority required under Swiss law for shareholder approval of the transaction, Clariant announced on 27 October 2017 that Huntsman and Clariant jointly decided to abandon the merger of equals. After Clariant abandoned the merger of equals, White Tale continued to put pressure on Clariant requesting the engagement of another investment bank to conduct a strategic review process as well as three board seats. In January 2018, Clariant confirmed that White Tale had sold its stake in Clariant, which in the meantime had increased to 24.99 per cent, to SABIC. We do not currently expect a significant overhaul of the rules and regulations governing activist shareholders' campaigns. There is, however, a corporate law bill pending in Parliament, which, among other things, intends to strengthen the rights of minority shareholders. The thresholds for requesting a shareholders' meeting and the inclusion of an item on the agenda would be lowered to 5 and 0.5 per cent, respectively, of the capital or voting rights (from 10 per cent currently) of private and listed companies, respectively. In private companies, shareholders with 5 per cent or more would have the right to ask the board questions not only at shareholders' meetings (as currently), but also between meetings. The delisting of a company's shares, which today is in the board's authority, would require shareholder approval with two-thirds of votes and half of the capital, each as represented at the general meeting. It is currently unclear in what form the bill will ultimately be adopted. We would expect the bill to come into effect in 2020 at the earliest. 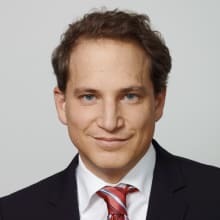 Based on the recent high-profile campaigns launched by US activist shareholders and the trend for shareholders of Swiss companies in general to become more engaged with the company they are invested in, we expect campaigns of shareholder activists to increase and become more of a mainstay of Swiss corporate law. We also believe that the growing importance of online services and social media will continue to facilitate shareholder activists' campaigns in Switzerland, in particular as a way to overcome the limitations shareholder activist currently have because of the lack of a direct access to the company's share register. 1 David Oser is a partner and Karin Mattle is a senior associate at Homburger AG. 2 Such an obligation could, however, be introduced with the revision of Swiss corporate law; see Article 700 Paragraph 2 ch. 4 Swiss Corporate Law Reform Bill published on 23 November 2016. 3 'Activist Investing in Europe – 2017 Edition', Harvard Law School Forum on Corporate Governance and Financial Regulations, 10 January 2018. 4 Cash, 'Investor RBR hält keine registrierten CS-Aktien mehr', 18 April 2018.